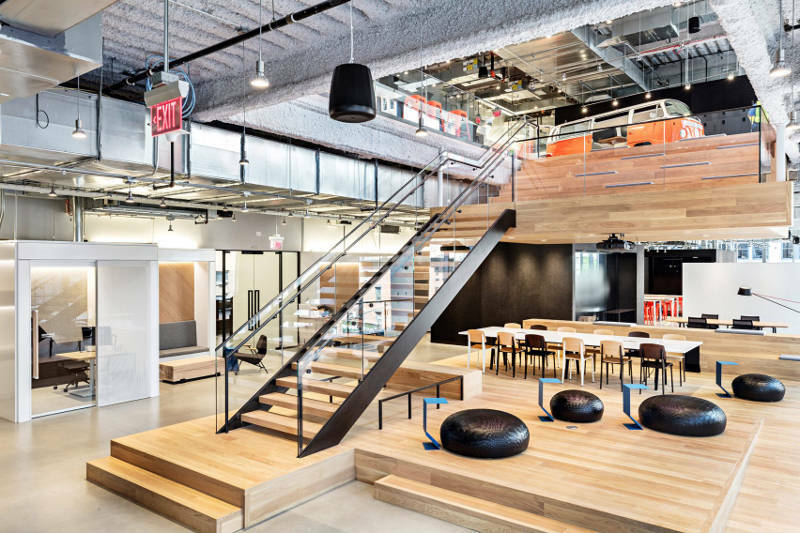 Offices are the second indoor spaces where we spend our time after homes. So it’s very important for them to look beautiful, functional and healthy! 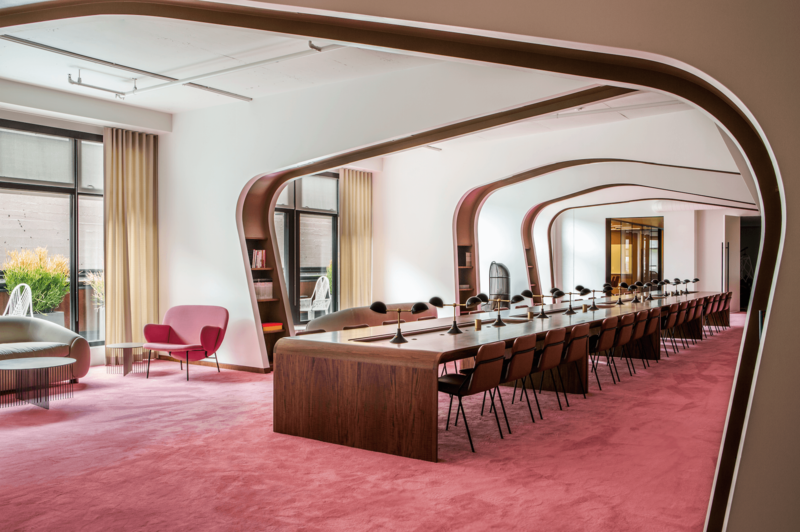 Curious to discover how to improve the design of your office? 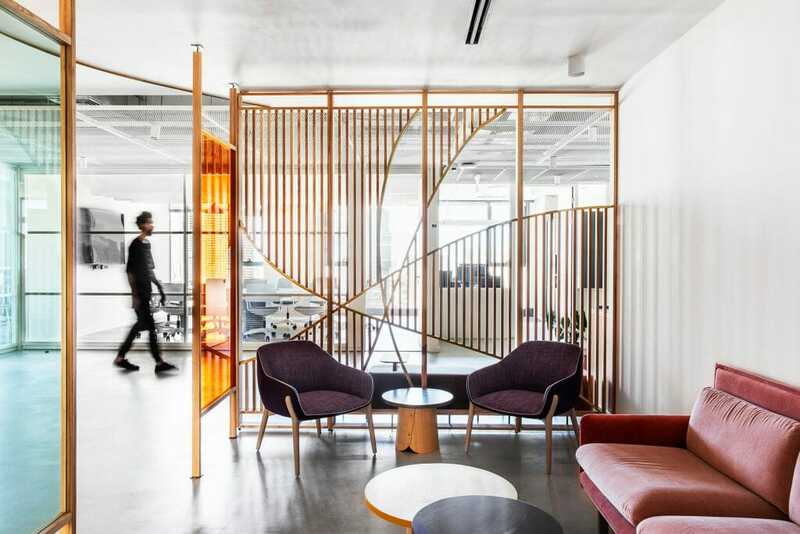 Then check out these office design ideas and read on for our 7 essentials checklist for office interior design! Design by Decorilla interior designer, Rosela B. Whether this means leaving the space calm and uncluttered or going for a bold wall color and plenty of accessories, make sure your office interior design is inspiring and energizing! In fact, creating an inspiring ambiance is the number one on the list of good office design ideas. 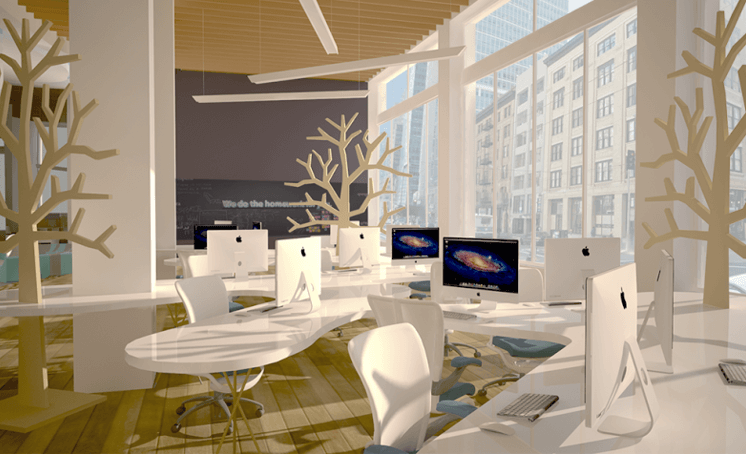 Working in an inspiring space puts people in a better mood and will increase their productivity! One key way to make the space inviting is variation. Desk areas are just one component of a good office. To make the space more inviting, plan for creative shared areas too. Used to work together, or even just to move away from one’s desk, these areas will foster collaboration and improve overall happiness and creativity! Lounge areas are equally important. Even if they may seem a distraction, it’s important to have a dedicated space to take a break. Plus, this will ensure silence in the working areas! Design by Decorilla interior designer, Narathas P.
Long hours are spent in the office, so comfort is key. Chairs in particular need to support the back properly and not cause pain. This is why adjustable chairs are still the best choice in office interior design. And the days where adjustable chairs were bulky and ugly are gone! Today there are plenty of beautiful office chairs out there, that will match your office furniture no matter its style. “Sitting is the new smoking” they say. And employees should be encouraged to move around the office. First, standing desks are a great solution as they allow to alternate sitting and standing while staying at the desk. 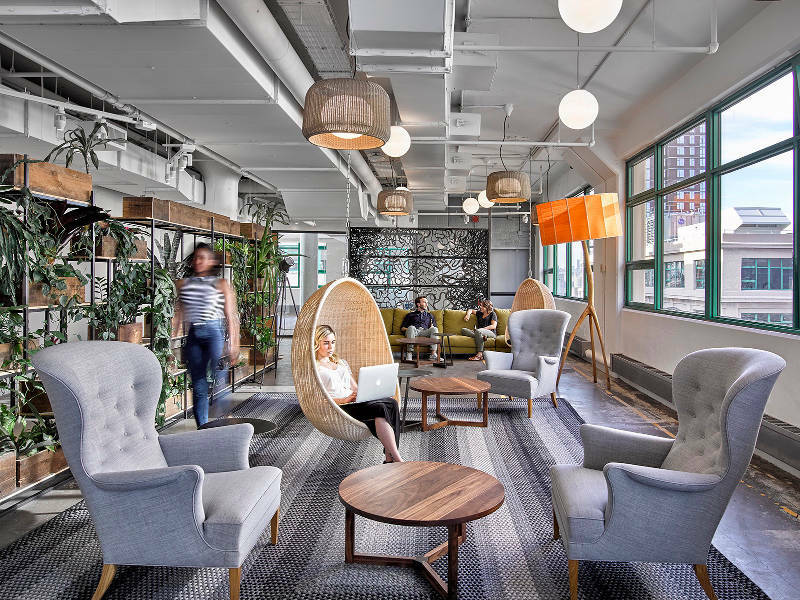 Second, shared co-working areas or lounge areas are other good tools as they encourage people to leave their desks from time to time. And little expedients like placing the printer a few more steps away from desks are other great ideas! Employees’ health – and productivity – will thank you! Storage is key in any office space. In particular, closed storage is essential to hide most of the clutter behind closed doors and give the space that polished designer look you see in magazines! Organization is another essential. When everything has its own place, it’s much easier to keep the space neat! Design by Decorilla online interior designer, Picharat A. Here is another reason why closed storage is important. Studies have shown that having an uncluttered work surface fosters productivity. So it’s better to leave just what is immediately needed on the desk and avoid piles of stuff. And if some things still need to be stored on the desk, closed boxes and containers will help to hide the clutter, leaving the space free and inspiring! Plants and flowers are always a good idea. 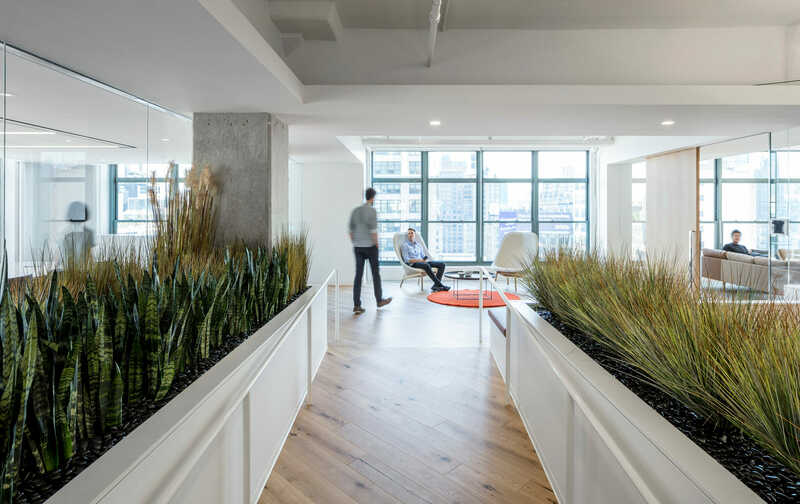 They give immediate life to a space, add a pop of color, make the office environment more inviting and even have positive effects on our brain… And if all this is not enough…do you know that some plants can also improve air quality? It’s a fact; colors influence our brain. Some are energizing, others are calming, others can even turn out to be irritating! The choice of colors in an office space is therefore very important and should be planned carefully. Do you work in the creative field? Orange is a great option for you! Red instead should be generally avoided as a prolonged exposure to this color can cause headache! 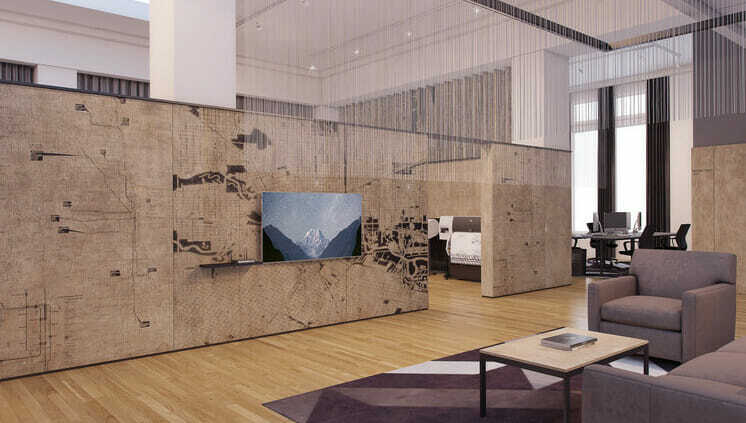 Design by Decorilla interior designer, Fares N.
Workspace quality is something that is gaining more and more importance in office interior design. And natural light is very high on the priority list! Natural light has invaluable benefits on both health and mood and everyone should have access to it! These days, large floor-to-ceiling windows are a pretty common (and gorgeous) solution to flood office interiors with natural light. Translucent internal partitions are another way to let the light travel in the space and get the most out of the sun! 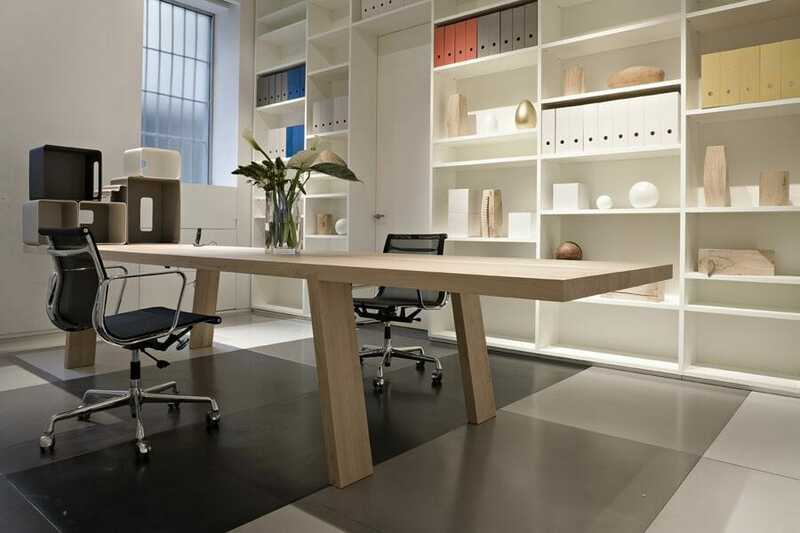 All of these elements will make your office inspiring, healthy and productive…who doesn’t want such a working space! 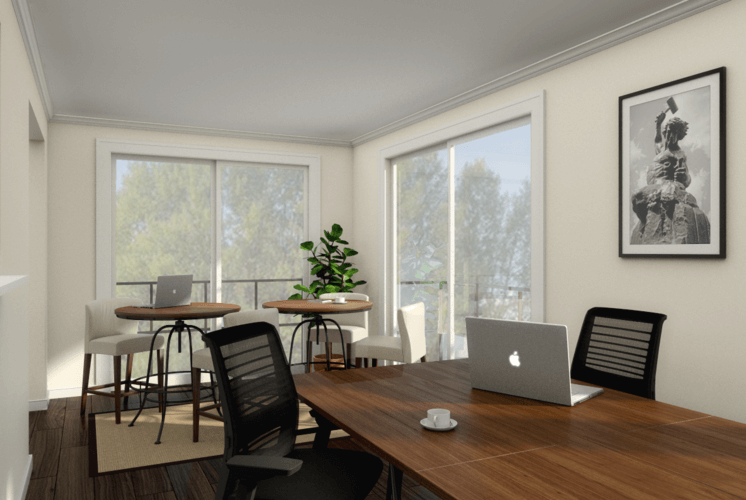 And if you need some professional help to tweak your office interior design, book an online design consultation with a Decorilla designer today! Written by Decorilla designer, Silvia C.